(Kansas City, MO – Jan. 5, 2018) – The Kansas City Area Transportation Authority (KCATA), in partnership with the Kansas City Streetcar Authority (KCSA) and the City of Kansas City, Missouri (KCMO), received official authorization from the Federal Transit Administration (FTA) to move the KC Streetcar Main Street Extension project into the “Project Development” phase. 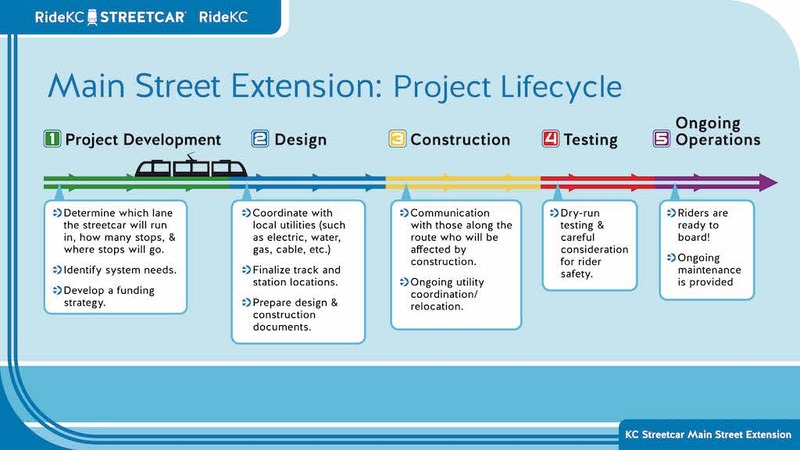 “Project Development” is the phase where project details will be developed including refined capital and operating costs, estimating ridership and other benefits, assessing environmental impacts, and developing a detailed funding plan for the streetcar extension. It includes work currently being done by a team of consultants led by HDR, Inc., which is being jointly funded by the KCSA and KCATA. 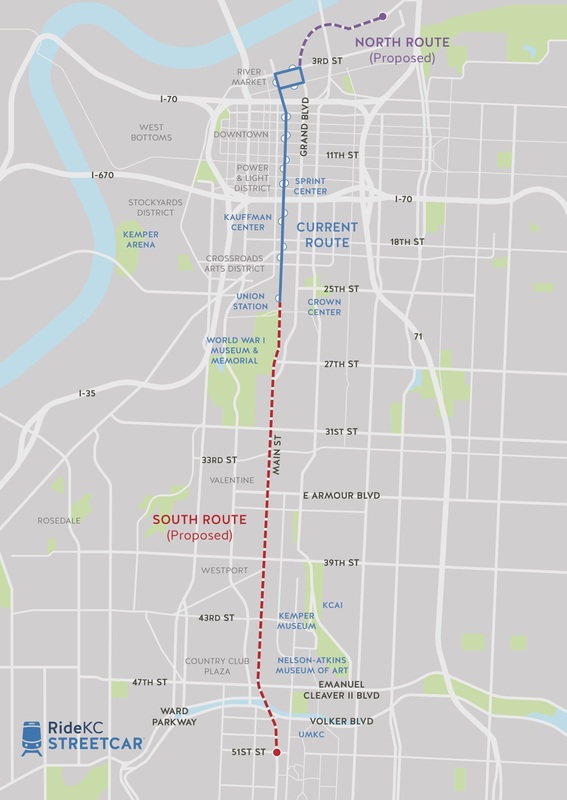 The KC Streetcar Main Street Extension project will build upon the downtown streetcar service and will support work required to further develop and advance the southern extension towards the University of Missouri, Kansas City (UMKC). The primary area for this effort extends from downtown Kansas City and Union Station, south to UMKC in the vicinity of 51st and Brookside Boulevard. The area is generally bounded on the west by Broadway Boulevard and on the east Gillham Road.